For years now, the exact identity of former FanGraphs contributor (now of mortal enemy Baseball Prospectus) R.J. Anderson has been a subject of no little speculation. Was he a 13-year-old boy, as some suspected? Was he a cyborg created by other FanGraphs writer Dave Allen? Was he both the father and son of Rays VP Andrew Friedman? Thanks to DRaysBay and RotoGraphs contributor Erik Hahmann, however, the mystery of R.J. Anderson’s true self has been demystified. Hahmann recently attended a Rays game with Jonah Keri and some other stone-cold nerds — including Anderson himself. 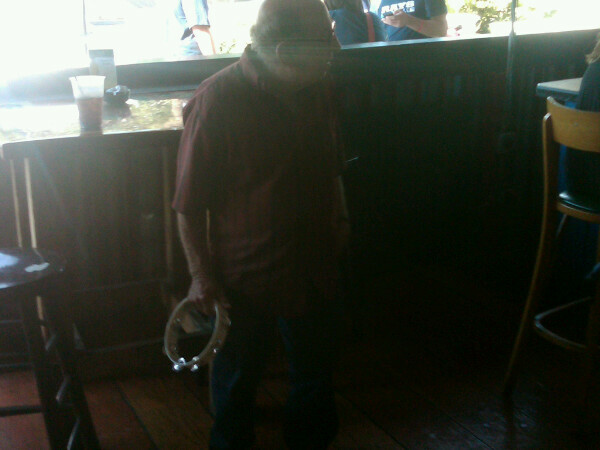 In fact, Anderson is a tambourine-playing pensioner. Who knew? And then, of course, there’s the fact that he lives in Florida, at all — the population of which state is 98% geriatric. That’s just facts, people. We hoped you liked reading Photographic Evidence of Real R.J. Anderson by Carson Cistulli! That isn’t at all what I expected. I evidently never read the articles that gave his age away, but I imagined him as someone in his 20s, not his 60s (? ).